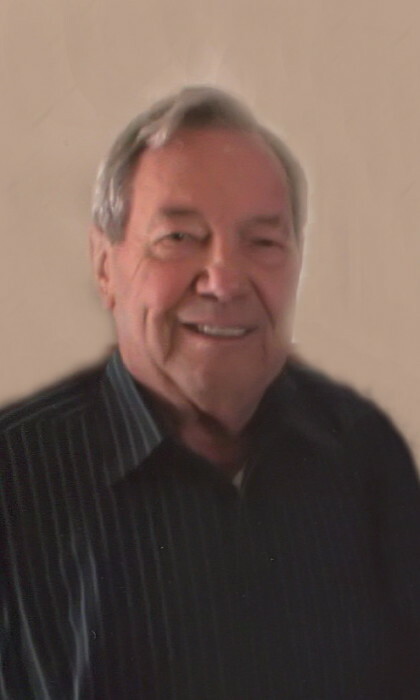 John Lawrence Aylor, 83, of Shawnee, Oklahoma passed from this life Saturday, March 23, 2019 in Shawnee. He was born May 6, 1935 to Lawrence and Edna (Oliver) Aylor in Little, Oklahoma. John was raised in Little and graduated from Prairie Valley Schools. He later attended Seminole Jr. College. He proudly served his country in the U.S. Army during the Korean War and was honorably discharged. After service he met Beverly Colleen Jones and they were married on July 6, 1962 by candlelight at Central Church of Christ in Shawnee, Oklahoma. They began their family in Shawnee and later moved to Bethel Acres where they farmed, until moving to Shawnee 21 years ago where they have since lived. John worked as a Production Maintenance Mechanic until his retirement. He loved to fish and loved making his vegetable garden every year. John enjoyed fixing “stuff” everything that needed to be repaired. He was preceded in death by his parents; Lawrence and Edna Aylor; 1 brother, Charles Aylor; and 4 sisters, Doris Elick, Wilma Cox, Ruth Guin and June Hart. Those left to cherish his memory are his loving wife of 56 years, Beverly C. (Jones) Aylor of the home; 2 sons and 1 daughter-in-law, John Mark and Sarah Aylor of Edmond, OK and Jack A. Aylor of Guymon, OK; grandson, Brooks Aylor; and many loving friends and extended family. The family has designated memorial donations be made to In Search of the Lord’s Way, P.O. Box 371, Edmond, OK 73083 in lieu of flowers. Visitation will be from 9:00 a.m. to 8:00 p.m., Wednesday, March 27, 2019 and continue through service time. Family gathering to greet friends and family will be from 5:00 p.m. to 7:00 p.m., Wednesday, March 27, 2019 at Cooper Funeral Home. Service will be 2:00 p.m., Thursday, March 28, 2019 at Central Church of Christ in Shawnee with Dwyane Dennis officiating. Burial will follow at Little Cemetery under the direction of Cooper Funeral Home of Tecumseh.